We are pleased to offer you an opportunity to have your quilts appraised by an American Quilter's Society (AQS) Certified Appraiser, Donna Kooistra of Heirloom Quilt Appraisals. Donna has been an AQS Certified Appraiser of Quilted Textiles since 2010. She appraises newly constructed quilts; as well as vintage and antique; and traditional and non-traditional for insurance replacement value, fair market value, and donation value. 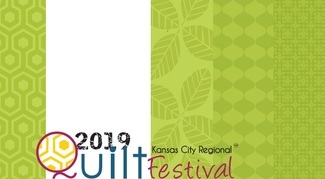 WALK-IN: You may sign up for a 30-minute appointment to bring your quilt to KCRQF at Overland Park Convention Center on Thursday, June 13; Friday, June 14; or Saturday, June 15 between 10:00 a.m. and 4:00 p.m. The cost of a written appraisal is $60 and verbal appraisal is $30. Payment will be made to Heirloom Quilt Appraisals at that time by check or cash.